"Very easy to use DSP"
I like its interface wich is very user friendly and understandable ata first sight, no need to receive a product introduction for starters. also, the planner tool is alway helpful in order to create proposals for the commercial team without having to bid in order to know about the prices on the market. Sometimes loading times even in a good internet conection can be painful, also, the platform sometimes gets stucked at times. We are integrating new product as trading desk in our organization giving us the oportunity to create new revenue stream. Also we have the ability to promote, use and monetize our first party data pushed from one of the adtech platforms that we hired, Salesforce DMP for instance, sends segments to Brightroll DSP with ease. Really easy to upload creatives and tagging. Brightroll makes building campaigns and line items a breeze. It's pretty intuitive. I like the ability to save settings template (new feature) which saves me a lot of time when building out multiple line items. I like the ability to create custom audiences and get a live scale prediction. The customer service is excellent, if there were any issues, it would get resolved within a reasonable amount of time and with a lot of communication in the interim. There are a lot of glitches, sometimes changing my settings without my knowledge (viewability, brand safety, etc). It's also inconvenient to have to submit a negative keywords list to DSP administrators every time I want to incorporate it in a campaign (vs. being able to manual add negative keywords or keyword list). Also, some lines tend to over pace (over 100%) alot. Utilize the team for learnings and reach out to admin for any issues or further clarification. "Lot of inventory and options but tough to back out CPAs"
I like the massive amount of inventory available with Yahoo and Brightroll across a number of different exchanges. There are also a lot of audience targeting options and other ways to segment the users you are reaching that can be powerful. There is certainly a wealth of options with Brightroll but as a direct response advertiser, we have found it difficult for our CPAs to back out on their platform. This could be just too high of a rate being taken by the DSP or it could be that they aren't as good at detecting click fraud as other networks. Would start small and find things that work and then scale up from there. We are reaching our potential customers across a wide variety of exchanges and websites for remarketing and prospecting. Set up is incredibly easy. Managing the campaign post founded is incredibly straightforward in terms of the delivery, pacing, etc. you've got the choice with the optimization tab whether or not you wish to optimize toward CTR or completion rate. There is no method of breaking out stats specifics, you're terribly restricted in your coverage choices that makes it very onerous to seek out and notice problems. "Great system; very easy to use and optimize campaigns"
SmartBundles are an awesome feature and tends to be how we use the tool the most. I also like how we can remove targeting to incentivized systems that game an app so that a user will be forced to watch a video gain a prize; those systems tend to feel forced and not something an advertiser is going to want to see in their site reporting. Our TAM has always been hugely involved in how we use the product, so they can even oversee our setup and give us tips and tricks before a campaign goes live. Reporting doesn't feel "easy" to customize; sometimes trying to find the right feature or right target can take a while, and I'll usually rely on my AM to help me find the feature I'm looking for. Although the recent acquisition by Yahoo could signal a decline in the product development cycle, it could also open the tool up to more inventory sources and better data. We're solving the problem of hitting the client's KPI's, even if our unique data can't provide that sort of result. When we augment our delivery with BrightRoll's Smart Bundles we're often able to optimize to the goals the clients request. "Great targeting offerings, click-through intent is dubious at best"
Brightroll has robust targeting options, and responsive account management. Billing based on CPC was a nice change of pace from cost per completed view, CPM, etc. Though click-through rate came out around 1% for our videos (on target for us), the on-site engagement from these clicks was low. A lot of these clicks seemed accidental; session times on site were pretty low, and bounce rate was high. Great for awareness campaigns – you'll have access to practically any target demo you're hoping to hit. Not great for direct response video advertisers. We wanted to see if any clicks resulted in sales, but the number of sales didn't come close to hitting our target CPA. "Great Interface - Intuitive & Straightforward"
Optimizations are easy to implement and filters are straightforward. Campaign health is easy to assess without having to pull an in depth report. Intuitive interface that shortens set up time for campaigns. I dislike that it's hard to figure out what filters were set as it doesn't show what's already in place. Reporting isn't as easily accessible. A rep will need to help you set up automated reporting. BrightRoll is a great product that has a great support team that is really responsive. BrightRoll is constantly working to improve their platform without taking away the ease of use. Balancing client KPIs and optimizing campaigns are what we deliver. The ease of use provides great benefit by making time spent more efficient. There is less time spent on pulling reports and more time spent on making changes that help benefit performance. Reach against broad a audience and cross-platform targeting. The customer service was also great when working with and negotiating plans. The rates proposed were also very competitive compared to other partners considered for the campaign. The rep seemed to want to try and work with us. BrightRoll DSP was lacking specific content within the home content category which is made it tough to reach a niche audience. My client felt very strong in aligning with contextually relevant content which made it very tough to recommend this particular vendor. Yes, I would recommend BrightRoll DSP for campaigns reaching a broad audience as well as campaigns with limited budgets for efficiency purposes. Overall budiness problem for my client is to generating awareness of a brand and increase consideration of product for consumers. Success is measured by driving traffic to the site (CTR) . "Good DSP, but no Google"
Ease of use and aesthetic look of the program. It is very fresh and simple, which is very nice. It cannot compare to Google's breadth of their DSP. Although it is great, it just doesn't have the same reach. We are an ad agency, so we use them as a DSP to get our messaging out there. We have realized the ease of uploading tags, but have for sure noticed a smaller return. "One of the best DSPs to use"
Brightroll DSP is extremely easy to use and the certifcation process teaches along the way. Lacks some of the functionality of other DSP's out there and can only be used with its walled gardened partners. The best part of the BrightRoll DSP is it's user interface. It is both easy to navigate and easy on the eyes. When reviewing site placements (to create a bundle). I cannot export all metrics into .CSV. For example, with my viewability-focused campaigns I cannot see metrics such as Viewable Impressions or Measurable Impressions. I also do not like that I cannot clone an entire campaign. This would be a huge time-saver as I have multiple clients that run very similar campaigns for their many flights. Don't be overwhelmed! It has a seamless interface and vast options to play around with. After much feedback from our adops team and working closely with the BRX product team, the Console that's been rolled out is pretty intuitive and has a good work flow. I like the duplicate line items function, the creative assignment function, zip code targeting capabilities, asset preview tool, daily delivery pacing (the system is pretty accurate), smart bundle control, and ability to pull reports by creative. Also you can optimize towards CTR, completion rate, etc. which is helpful. When targeting bundles, delivery gets funneled to a very select group of sites. So there is definitely a lack of variety when you have specific KPIs to hit. You can't upload blacklists or whitelists on your own, you have to send it to the account manager to implement on the backend (the lack of control on this is inconvenient). The Console itself is solid and reliable. The support from the team is really great too. We are trying to reach specific audiences, run our business at the best margin possible, and hit varying KPI goals (like CTR, viewability, completions, etc) at once. I've found that I can hit most of my goals at fair rates using Brightroll's inventory, which is why I continue using their platform. "Brightroll adoption by Sell-Side Partner"
The account team were fantastic at demonstrating the platform, clearly articulating the value and how it could fit with our existing stack. The setup and approval process was quick and efficient. In my previous role I pushed to have Brightroll adopted as a Video DSP of choice, understanding the value it could bring to existing and new business partners. The ad safety credentials and useability of Brightroll were obvious, along with the fantastic support team. 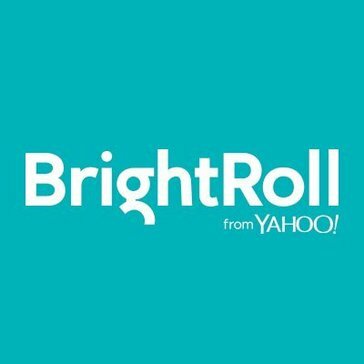 Now that Brightroll is part of Yahoo's ecosystem, and though I have changed roles, I am still an interested spectator of how the platform develops, specifically with mobile use in mind. "Easy to use DSP with all that you would need"
It'll give you everything you need for a DSP in terms of settings and options however it doesn't appear that you can do geo-fencing of a location lat/long which is needed. "Average UI with above average support"
My account reps were always available during the weekends and the holidays which was very helpful during crunch-time. The platform lacked some simple features like campaign and line item duplication. They could also improve their reporting capabilities. There's not much customizing nor able to pull reports account wide. I'm also unable to set up automatic reporting. They are in my top 5 for buying video inventory. After a few improvements to their UI, I'd put them in the top 3. I used them to help fulfill our direct campaigns. Optimizing using their bundles was very helpful. I love how many data points there are to help hit the specific audience/target. My own qualms were educating myself with BrightRoll DSP. Once I learned and became familiar, I was thoroughly happy. Looking to help my clients hit a specific audience, BrightRoll has made this whole process easier for me. "Easy to use (most of the time), helpful Account managers"
Easy optimizations, helpful AMs, generally useful/easy to use UI though it is clunky at times. Reporting by URL doesn't exist, annoying to block sites based on performance, if you set a daily delivery goal, it delivers ASAP instead of evenly, etc. There are lots of little clunky things like these that could be improved. Get a good AM and use their knowledge! Campaign KPI performance. Improved client satisfaction, less campaign manager time wasted. Uploading creatives is easy and intuitive. Getting an estimation on performance VCR and CTR is mostly accurately and on par when the campaign is set live. It's reliable and stable in terms of delivery. Tag preview is fast in loading and easy to share. Making bundles and smart bundles as its not as effective on campaign performance sometimes and may take a while for the data to upload on the chart listing the sites. Be sure to use BRX's VCR or CTR optimizer instead of creating site bundles. Takes longer to do site bundles and may not always help performance. Working on integrating our proprietary data with BRX so we can more fluidly use for our client campaigns. "Clean Interface Lacking in Features"
I love the ease of use in the interface, its quick updating with stats and how you can digest a lot of information easily. There is no way of breaking out stats by player size, domain, geo etc... You are very limited in your reporting options which makes it very hard to find and detect issues. We were looking for a quality and technically superior demand platform to help us monetize a series of websites and collections. Brightroll was a perfect fit for that. Set up is very easy and straightforward. Managing the campaign post set up is very easy in terms of the delivery, pacing, etc. You have the option with the optimization tab whether you want to optimize toward CTR or completion rate. Great customer service. Members of the team have had issues with reporting. Some aspects of campaign management can only be handled by the BRX team. Overall I would recommend BRX for ease of use and ability to hit KPIs. Access to inventory, ensuring we hit the campaign KPIs and maintain margin. "BrightRoll for video advertising "
The user interface is beautifully designed. Customizing video advertising campaigns is a simple process..
As with any program, you must understand the pricing structure before you invest. Some features are locked unless you are in elect into an upper-tier price. Reporting is unavailable in CSV format as far as I can tell. I find the ease of use the best aspect of the DSP. Aesthetically speaking it could improve a bit. It is easy to just - just learn how to optimize to target the right users. I manage preroll inventory for a number of clients. BrightRoll is being used as a third party vendor. "Convenient easy video DPS platform "
Trying to determine which data segments yielded the best performance, but brightroll didn't have a report that would let me do the comparison. I like the mail retargeting data used from receipts. Reports are also quick to pull. Aside from the mail retargeting just ok UI. Nothing special. 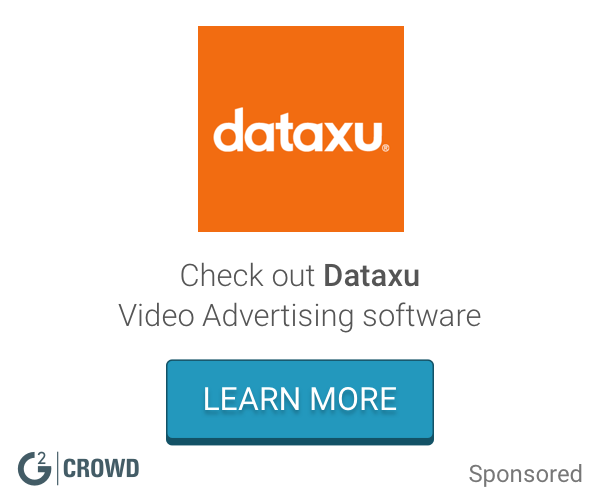 "Programmatic DR video and display buying." Platform was very simple to use and the reps were great to work with. Performance wasn't great in the DR space. Would be interesting to use in a more brand manner. Trying to understand how to best use programmatic video buys. DR vs. Brand. Is it viewable? The good quality video advertising that it offers. The ads sometimes can be annoying and unwanted. It is worth the shot. Give it a try. WE used it for advertisement apps. It is good and takes up lot of space in server. direct response advertising. challenged with clickthrough as we optimize based on direct buy. * We monitor all BrightRoll DSP reviews to prevent fraudulent reviews and keep review quality high. We do not post reviews by company employees or direct competitors. Validated reviews require the user to submit a screenshot of the product containing their user ID, in order to verify a user is an actual user of the product.